2018. MARSHALL MATHERS, RAY ILLYA FRASER. 2018. m. mathers, r. fraser. 2016. Marshall Mathers, Emile Haynie, Denaun M. Porter, Mark Batson. 2015. ABEL TESFAYE, AHMAD BALSHE, CARLO MONTAGNESE, EMMNANUAL NICKERSON. 2015. LUIS EDGARDO RESTO, MARIO E. RESTO, MARSHALL B. MATHERS III. 2015. ERIK ALBERT GEORGE ALCOCK, KHALIL ABDUL-RAHMAN, LIZ RODRIGUES, LUIS EDGARDO RESTO, MARSHALL B. MATHERS III, PRANAM INJETI. 2014. SAMUELS, MATTHEW / DALEY, DANIEL / KRUGER, BRETT / EPSTEIN, ZALE / ATHA, MICHAEL / MONTGOMERY, RYAN / MATHERS, MARSHALL / SMITH, JUSTIN / WICKLIFFE, DOMINICK. 2014. 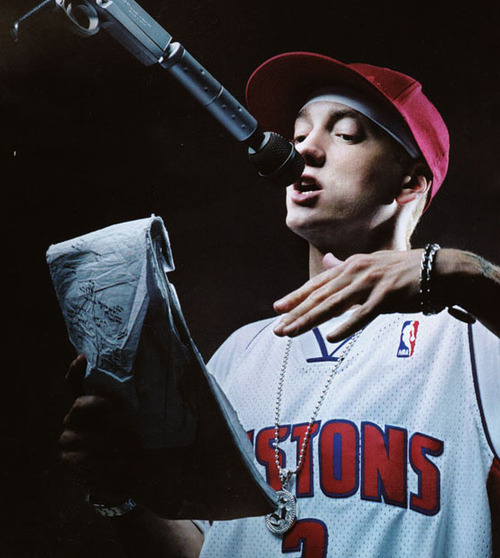 Montgomery, Ryan Daniel / Mathers, Marshall. 2014. HILL, JOHN / FURLER, SIA / HAYNIE, EMILE / MATHERS, MARSHALL / RESTO, L.
2014. Smith, Trevor / Mathers, Marshall. 2014. LUIS RESTO, MARSHALL MATHERS. 2014. SMITH, JONATHAN H. / MATHIS, ALONZO KEITH / HUMPHREY, MONTAY DESMOND / ROBERSON, KOREY / SMITH, JAMES / JONES, W..
2014. BROWN, JAMES / MONTGOMERY, RYAN / TRIMBLE, DEJA / TROTTI, JON / MATHERS, MARSHALL / BARIL, PATRICK / BEVERIDGE, PETER JOHN / ANDERSON, SEAN MICHAEL / SEWELL, DANIEL / JAMES, ANDREW ROBERT. 2014. Marshall Mathers, Trevor Smith. 2014. JAMES BROWN, RYAN MONTGOMERY, DEJA TRIMBLE, JON TROTTI, MARSHALL MATHERS, PATRICK BARIL, PETER JOHN BEVERIDGE, SEAN MICHAEL ANDERSON, DANIEL SEWELL, ANDREW ROBERT JAMES. 2014. Jeffrey Irwin Bass, Luis Edgardo Resto, Marshall B Mathers. 2014. MARSHALL B. MATHERS III, WILLIAM H. SQUIER. 2013. MATHERS, MARSHALL B. III / ARGENT, ROD. 2013. MATHERS, MARSHALL B. III / RESTO, LUIS EDGARDO. 2013. MATHERS, MARSHALL B. III / ABDUL-RAHMAN, KHALIL / ALCOCK, ERIK ALBERT GEORGE / INJETI, PRANAM / RODRIGUES, LIZ / STRANGE, MICHAEL JR..
2013. GOUDIEVA, POLINA / BROOK, DAVID N / HAYNIE, EMILE N / MATHERS, MARSHALL N.
2013. GRANT, ALEXANDER JUNIOR / MATHERS, MARSHALL B. III / BROOK, HOLLY / RESTO, LUIS EDGARDO. 2013. RUBIN, RICK / PORTER, G / HOROWITZ, ADAM / YAUCH, ADAM / NEVILLE, CYRIL / CRISS, ANTHONY / MODELISTE, JOSEPH / NEVILLE, ARTHUR / BROWN, VINCENT / MATHERS, MARSHALL / GIST, KEIR / SQUIER, W.
2013. ZAYAS JR., BIGRAM / DAVIS, DOUG / LEE, JUANITA / BURNS, JUANA / SHAHEED, FATIMAH / NAZEL, KIM / WALTERS, RICHARD / HACKER, STEPHEN / DELGIORNO, MATTHEW / MATHERS, MARSHALL / BIRKS, DIANA. 2013. MATHERS, MARSHALL B. III / WEAVER JR., JESSE BONDS / WALSH, JOSEPH FIDLER. 2013. LAMAR, KENDRICK / MATHERS, MARSHALL / BALLARD, CLINT / POE, COY / TOMLIN, PINKY / GRIER, JIMMIE. 2013. BHASKER, JEFF / RUESS, NATE / MATHERS, MARSHALL / RESTO, LUIS / HAYNIE, EMILE. 2013. MATHERS, MARSHALL B. III / GRAHAM, TAVISH L. / DUREN, WOLFGANG / CHAVEZ, JOEY / RESTO, LUIS EDGARDO. 2013. MATHERS, MARSHALL B. III / STRANGE, MICHAEL JR. / RESTO, LUIS EDGARDO. 2013. GRANT, ALEXANDER JUNIOR / MATHERS, MARSHALL B. III / COMMONS, JAMIE N..
2013. FEENEY, ADAM / MICHELS, LEON / BRENNECK, THOMAS / GUY, DAVID / MATHERS, MARSHALL / STEINWEISS, HOMER / TANKEL, JARED / MCCORMICK, C.
2013. FURLER, SIA / MATHERS, MARSHALL / HAYNIE, EMILE / RESTO, EDGARDO. 2013. JOSHUA FRANCIS MOSSER, ALEXANDER JUNIOR GRANT, MARSHALL B MATHERS III, DANIEL COULTER REYNOLDS. 2013. WALTER V. JR. DEWGARDE, KENYATTA S. BLAKE, ARAM SCHEFRIN, GENYA RAVAN, ROSCOE MITCHELL, MARSHALL B. III MATHERS. 2013. FATIMAH SHAHEED, JUANITA A. LEE, JUANA MICHELLE BURNS, DANIA BIRKS, KIM NAZEL, MARSHALL MATHERS, BIGRAM ZAYAS, MATTHEW DELGIORNO, STEPHEN HACKER, D. DAVIS, R. WALTERS, RONALD H. ROBINSON. 2013. GRIFFIN, LARRY DARNELL / MATHERS, MARSHALL / JAFFE, SARA / LANDON, MARK / MURPHY, WALTER ANTHONY / WARWAR, NICHOLAS / AIELLO, MICHAEL VINCENT / VENDITTO, VINCENT / HACKER, STEPHEN / REVERBERI, GIAN PIERO / GIORDANO, LAURA. 2012. CHRISTOPHER WONG WON, LUTHER RODERICK CAMPBELL, DAVID HOBBS, MARK ROSS, JOE BUDDEN, RYAN MONTGOMERY, TYLER WILLIAMS, JOELL ORTIZ, DOMINICK WICKLIFFE, JAMES ALVIN BROWN, ROBERT GINYARD JR., MARSHALL MATHERS. 2012. KHALIL ABDUL-RAHMAN, DANIEL TANNENBAUM, LIZ RODRIGUES, MARSHALL B. III MATHERS. 2012. MATHERS, MARSHALL B. III / TRICE, OBIE. 2011. MATHERS, MARSHALL B. III / WASHINGTON, WILLIAM BOOKER / MITCHELL, LOLA CHANTRELLE / ATHA, MICHAEL WAYNE / RESTO, LUIS EDGARDO. 2011. MCGREGOR, STEPHEN / GARDNER, RICARDO / SMITH, CLIFFORD /. 2011. WARWAR, NICHOLAS / MONTGOMERY, RYAN / MATHERS, MARSHALL BIII(EMINEM) / DIAZ, R..
2011. BASS, JEFF / BASS, MARK / MATHERS, MARSHALL. 2011. Damu Mtume;Andre Young;Faulu Dalili Mtume;Bilal Oliver;Michael Flowers;Scott Storch. 2010. YOUNG, ANDRE / POPE, CHE / MATHERS, MARSHALL / ELIZONDO, MICHAEL / BATSON, MARK / JACKSON, CURTIS. 2010. DWAYNE CARTER, MARSHALL MATHERS, JESSE WOODARD, LUIS EDGARDO RESTO, M. STRANGE, JESSE HOLLIS. 2010. GRANT, ALEXANDER JUNIOR / MATHERS, MARSHALL B. III / BROOKS, HOLLY. 2010. MATHERS, MARSHALL B. III / BUTLER, TERENCE MICHAEL / IOMMI, ANTHONY FRANK / OSBOURNE, JOHN / WARD, W. T..
2010. 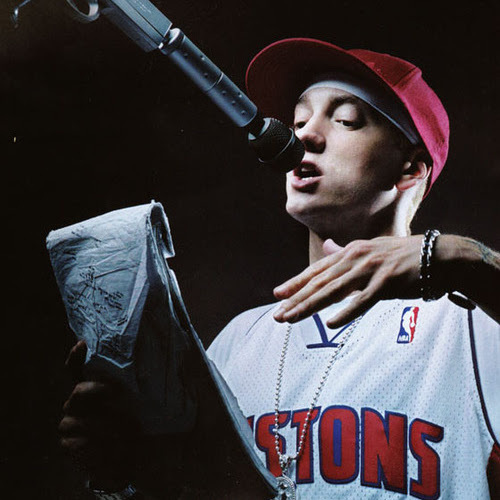 MARSHALL B. MATHERS III. 2010. Porter, Denaun M / Mathers, Marshall B,Iii(Eminem) / Wilson, Carlos / Wilson, Louis / Wilson, Ricardo A. 2010. MCGREGOR, STEPHEN / GARDNER, RICARDO / SMITH, CLIFFORD /. 2010. KHALIL ABDUL-RAHMAN, DANIEL TANNENBAUM, LIZ RODRIGUES, MARSHALL B. III MATHERS. 2010. SAMUELS, MATTHEW / MATHERS, MARSHALL / BURNETT, M..
2010. DANIEL TANNENBAUM, ELIZABETH RODRIGUES, PRANAM INJETI, ERIC ALBERT GEORGE ALCOCK, KHALIL ABDUL-RAHMAN, MARSHALL BIII(EMINEM) MATHERS.